Sandvik Coromant has announced a new Smart Event called, "See the Whole Picture." 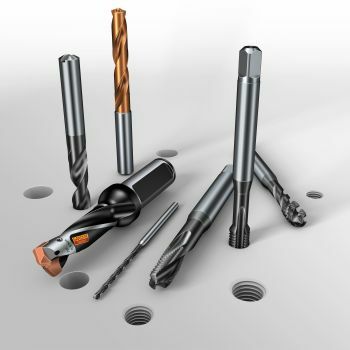 The drilling event is part of the Smart Event series designed to improve productivity in the metal cutting industry. The half-day event on March 15th will feature technical presentations, application techniques and troubleshooting tips that can positively impact drilling operations and boost performance. Topics covered will range from tool selection, hole tolerance and size, tool holding, chip evacuation, and programming methods to help attendees maximize their drilling process and ensure improved hole quality and lower cost per hole. Presented by industry-leading drilling and tapping specialists, the event will also include live machine demonstrations, networking opportunities, and the chance to talk to drilling experts. "Most components today requires some type of hole to be produced, making drilling an important operation in many shops," said Aaron Habeck, Drilling Marketing Project Manager. "We're hoping that this event will give attendees the knowledge and resources that will provide improvements in their machine shops."